LEAD Team representatives Maria Ahumada and Anthony Suarez help fellow peer Krista Schmidtt during an Academy of Leaders event. In the summer of 2016, Anthony Suarez organized a student trip to Managua, Nicaragua, as part of FIU’s Alternative Breaks program. Suarez’s team members spent their days building a bathroom for a lady who previously had no inside plumbing. They took breaks playing with children who lived nearby. And they learned a whole lot about life and giving back. Alternative Breaks is just one example of the various opportunities offered at FIU to help students take on leadership roles, while helping others. Suarez’s involvement began when he participated in the Center for Leadership and Service’s (CLS) Academy of Leaders (AOL) program. Designed to help students think about what leadership is and how everyone can become a leader, the program changed Suarez’s life. “The three-day retreat helped me figure out who I was and who I wanted to be,” Suarez says. He became a LEAD Team member with CLS, and today is a LEAD Team Captain. The LEAD Team speaks about CLS at First Year Experience (SLS) courses and new student orientations. They also organize the weekend retreat for AOL – at which they are assigned a group of participants to mentor. English major Maria Ahumada, currently part of the LEAD Team, says she was able to find her niche at FIU thanks to her involvement in CLS programs. 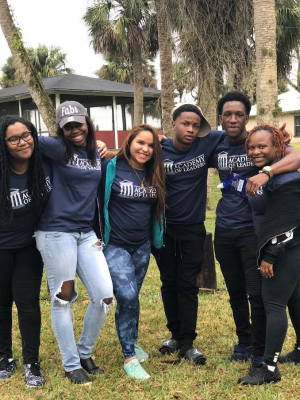 An out-of-state student who had moved to Miami from New York, she didn’t know anyone when she started at FIU. Then she attended the AOL program and found a network of people who wanted to make a difference in others’ lives. Associate Director of CLS Sabrena O’Keefe says experiential and service learning is a foundational component of education. After every CLS learning experiences, O’Keefe says, staff ask students three important questions referred to as the “adventure cycle”: what happened, so what and now what? This helps students process their experience and figure out what it means to them. O’Keefe says experiential or service learning opportunities exist everywhere, even if the more formal debriefing with staff doesn’t take place. Whenever students step up to the plate and take leadership roles, it’s experiential learning. This includes helping run a student organization; helping organize events like Uproar; and becoming a Peer Advisor or Panther Camp facilitator. For senior psychology major Andy Garcia, getting involved on campus made him realize it’s not about what you get out of it, but what you can give to others. 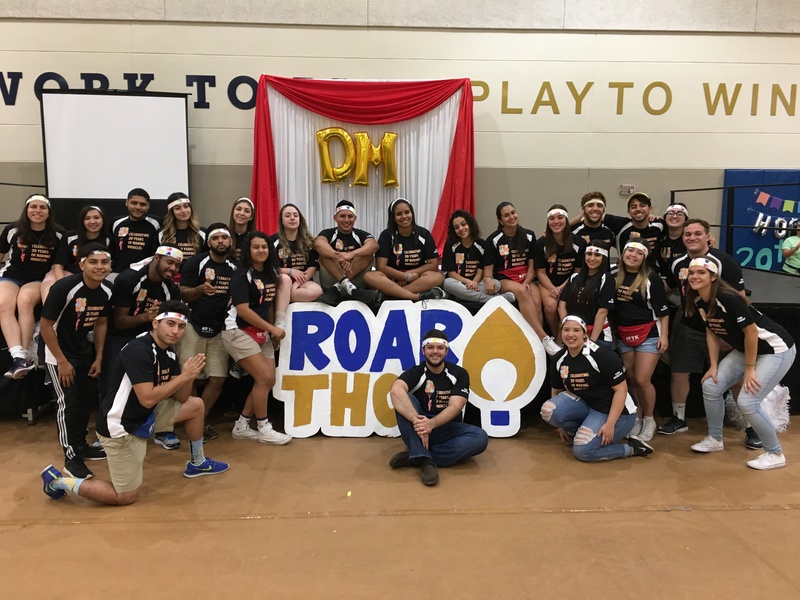 Garcia helped incoming students as a peer advisor and coordinator for orientation; and, most recently, he was the director of morale for Roarthon (Dance Marathon), helping raise $96,018 for Children’s Miracle Network Hospitals through the fundraiser. This article is part of our Secrets to Success series.